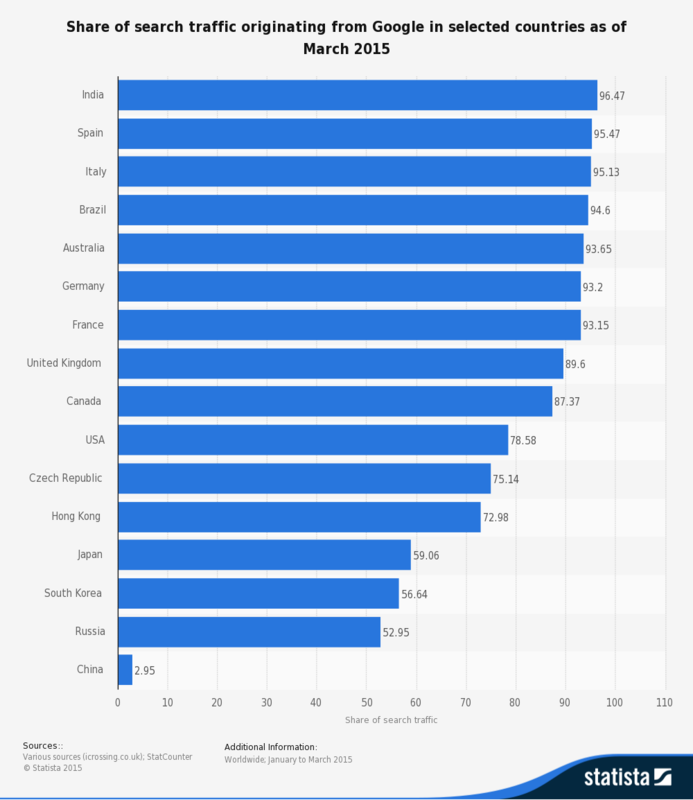 Scooper - Technology News: What do the world’s 4 biggest companies have in common? What do the world’s 4 biggest companies have in common? Simple: they’re all technology firms. Alphabet, Google’s parent company, has overtaken Apple to become the world’s most valuable company, while Facebook has replaced ExxonMobil in 4th. Alongside Microsoft, these four tech giants are now the world’s biggest companies. 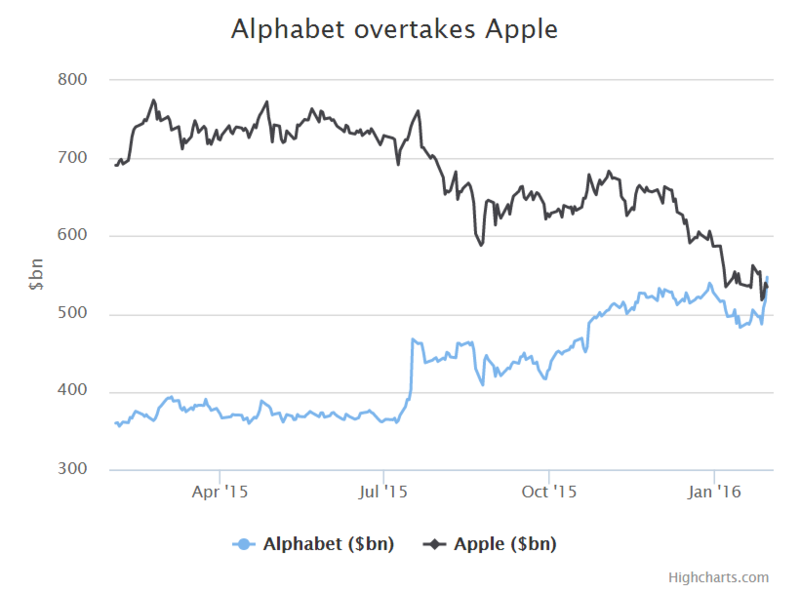 Alphabet’s value has risen to around $568bn compared to Apple’s $535bn. With this increase, Google has taken Apple’s crown as the world’s biggest company. Apple, which has held the top spot for three years, saw shares fall last week after the tech giant predicted its first revenue fall in 13 years. Google’s CFO, Ruth Porat, put growth down to advertising on smartphones and YouTube. Paid-for clicks rose 40% across Google ads last year. How has Alphabet done it? In the last year, the company has surged past Berkshire Hathaway, ExxonMobil, Microsoft and now Apple to reach the top. Since restructuring six months ago to become Alphabet, the company has almost doubled in value. This despite no significant changes in its products or services. The most profitable aspect of the business remains Google. The search engine and the advertising revenue it brings in, which was over $13bn from its own sites in 2015, represent a significant chunk of profits. The Guardian suggests it’s as easy as ABC, with the simplicity of the search engine continuing to set it apart from competitors. The most recent figures suggest there are upwards of 100 billion Google searches a month. The power of Google allowed the business to offset losses of $3.6bn on its “Other Bets” business. This includes more experimental ventures such as self-driving cars and internet balloon programmes. Alphabet’s coronation as the King of Wall Street reflects a broader trend in the growth of technology firms. Alphabet, Apple, Microsoft and Facebook represent the power of technology in a modern world, and the emergence of the Fourth Industrial Revolution . This revolution is characterised by a blurring of the lines between the physical, digital and biological worlds. Technology companies are at the forefront of this rapid change. “The possibilities of billions of people connected by mobile device, with unprecedented processing power, storage capacity, and access to knowledge, is unlimited,” argues Professor Klaus Schwab. The revolution presents opportunities and challenges, notably in the labour market. Economists have suggested automation has the potential to cause widespread disruption to the way we work. Compare Ford Motor Company’s 187,000 employees to Google’s 56,000. But, as Professor Schwab has argued, the Fourth Industrial Revolution need not ‘robotize’ humanity. Rather it can supplement the best aspects of human nature. The rise of the tech giant is reflective of the opportunities of this revolution. One which we all need to be ready for. Have you read? What does Alphabet mean for Google?